AcceSnake is a “Snake-like game” developed by CmoaToto which uses the accelerometer of your phone. 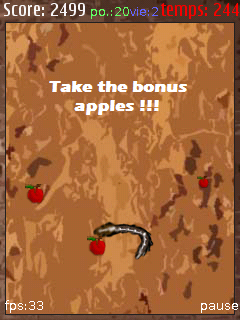 For the first time in a snake game, you can move in any direction, slow down, and accelerate just by moving the phone. You can cross your tail but don’t touch the wall or you will loose a life.